Texas Longhorn calves are lighter and slimmer than the calves of other breeds. However, they develop so quickly and so well that they weigh just as much as other cattle when fully grown. Nevertheless, they do not require any special care or food. They are undemanding and very popular with farmers because of their peaceful nature. 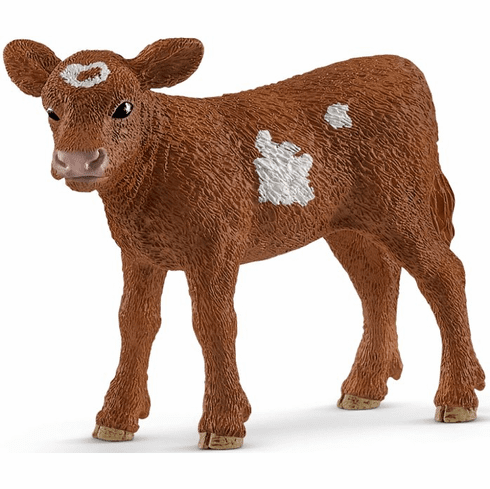 Figures measure approximately in inches: 0.5 W x 3 L x 2.1 H.
Part of the Farm World Series by Schleich.